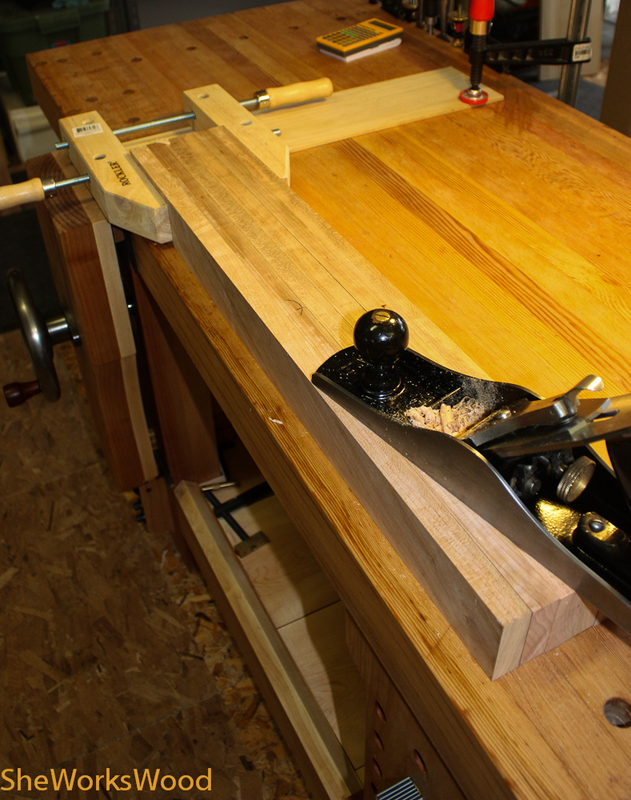 I started working on the desk now that the work bench is complete. We need a desk something awful. Right now, all the “desk” work is getting done on a worn out scratched up old table. 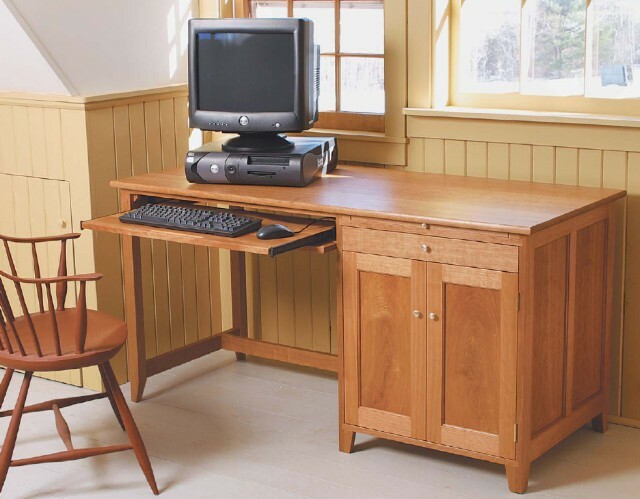 Here’s a quick pic of what the desk will look like. I don’t know about you, but at this point of the project I always feel a bit overwhelmed. I know that I need to break the project down into small steps and work to complete those. I have to tools, the plans and help if I need it, but never the less I seem to always feel this way at the beginning. Here’s a quick gallery of what I done so far. This is a trick I learned (from somewhere) to even up and clean up all of the legs at once. 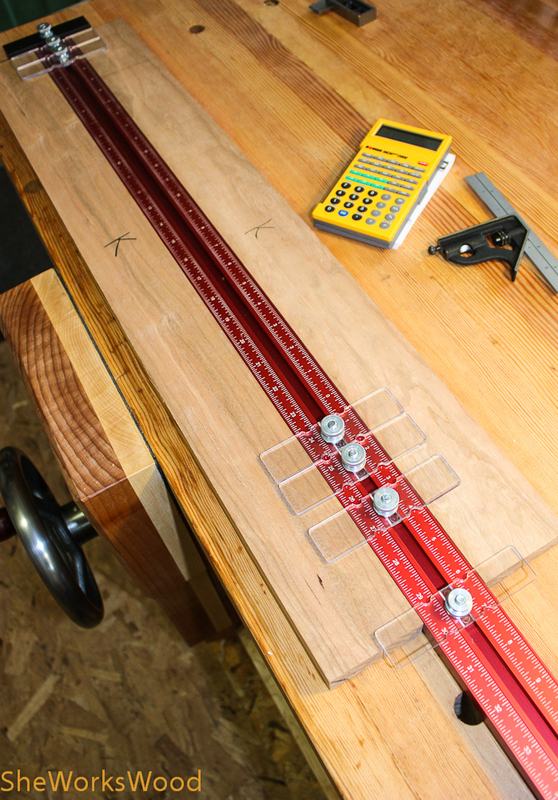 I used my story stick and fabulous fractions calculator to lay out the mortise on the legs of the cabinet. 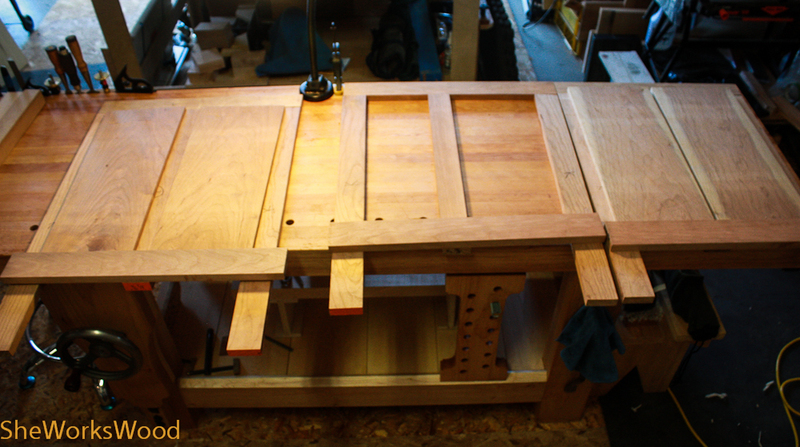 Here are the three paneled sides that will make up the cabinet. 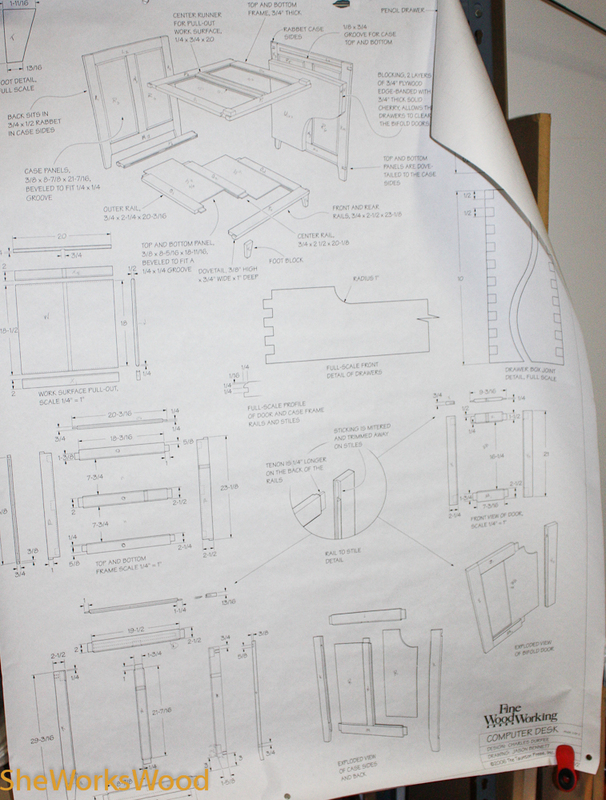 This entry was posted in desk, layout and tagged cherry, desk, layout. Bookmark the permalink. I built that same desk sometime ago. Check my blog in some of the earlier posts. good luck let me know if you have questions. Marilyn, the one thing that comes to mind is the opening for the keyboard. I built it to plan and discovered (later of course) our keyboard was too tall with the back tabs raised to clear the opening. Not a show stopper but annoying. We since switched to a Mac, so the small keyboard now rests on top of the desk and the original keyboard area stores printer paper. I really enjoyed building this desk and we continue to use it daily. Looking forward to seeing your progress pictures. Good tip! I’d really like to be able to put the key board away. There are a few other measurements I should make as well.